Contemporary Wall Decor Home Art Gift Interior Design. 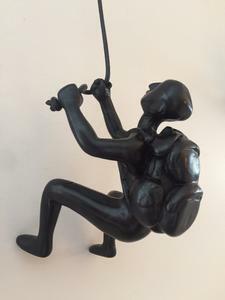 We've taken our passion for art and fused it with our love for physical activity and adventure. 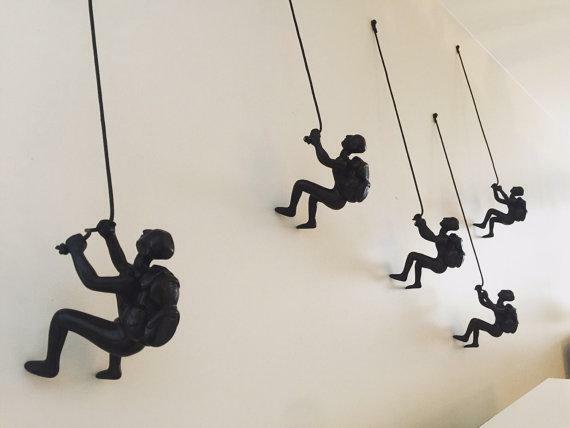 Though our figures are stationary sculptures, they're still full of movement and action. 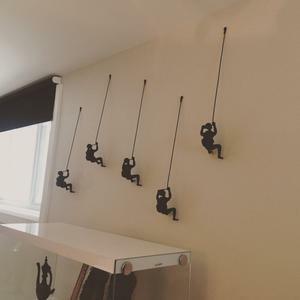 Our best selling items are our climbing wall décor figures, inspired by a genuine love of climbing. We've created many colors, themes, and styles, making sure there's a set that suits every home. The choice to use high-quality materials was simple. We take pride in our work, so we give our customers nothing but the best in terms of quality, design, and price. Our wall climbing men are crafted from solid resin and painted right here in Montreal, Quebec. We don't skimp on the details either – your sculpture comes with authentic leather climbing rope to hang onto.